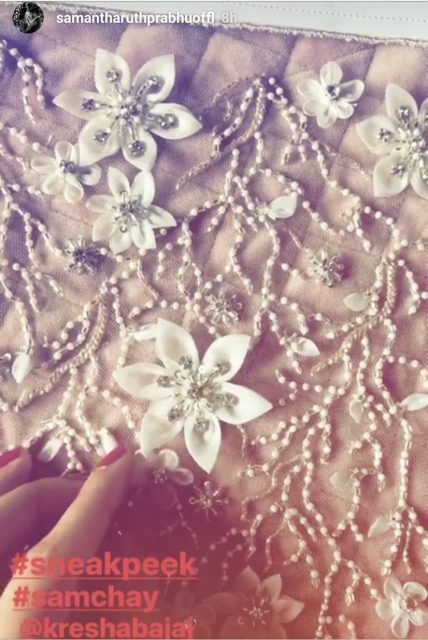 Samantha Ruth Prabhu's wedding lehenga is exquisite. Samantha Ruth Prabhu and Naga Chaitanya will be tying the knot on 6th October. The stars will be having a destination wedding on 6th and 7th October in Goa. They got engaged earlier this year and will be hosting a grand reception in Hyderabad after their wedding. 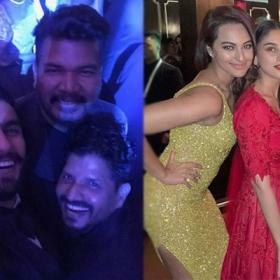 “The couple will be getting married in Goa and the event will see superstars from South Indian film industry attending. A source told a leading daily that about 150 families are expected to fly in for the 2-day long celebration. 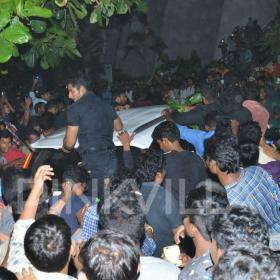 The wedding will be followed by a grand reception in Hyderabad. The couple is reportedly planning to take a short vacation to Newyork after their wedding,” a source had told a leading daily. 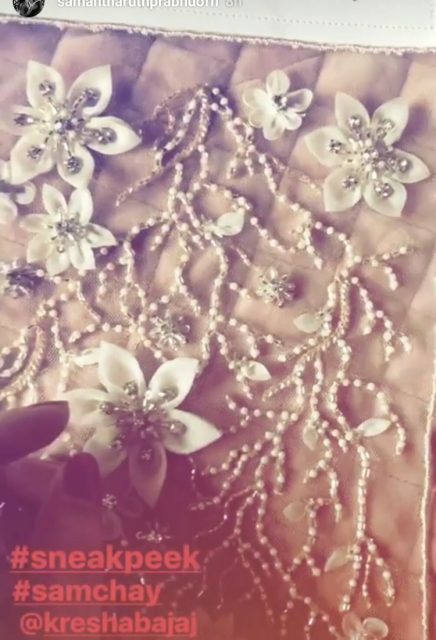 Samantha today shared a sneak-peek of her wedding ensemble that has been designed by ace fashion designer Kresha Bajaj on her social media account. Samantha teased her fans as she shared a photo of her in an exquisite lehenga. The intricate detailing and the color of the attire look lovely. 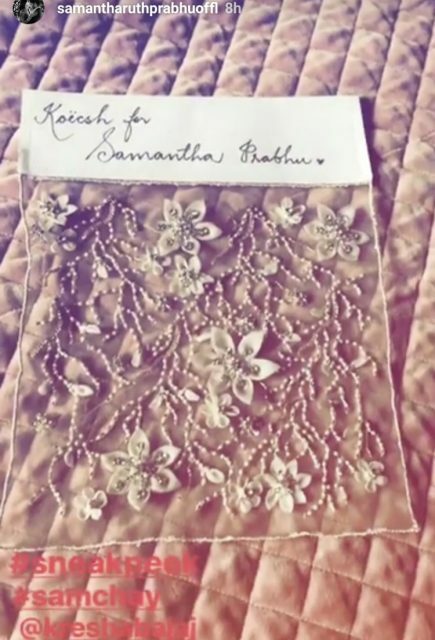 Kresha Bajaj had designed Samantha’s engagement saree. Keep a rakhi with you at all times…you might need it when he gets a mistress just like his dad…ROFL! Suriya and Jo are couple goals. These both are just showing off. After all, she had to threaten him with a rakhi to get married! In two years, he will start sleeping with his heroines, she will divorce him…get plenty of money and then continue sleeping with other men and yeah..get more fillers on her already distorted lips! End of story! They will spend Rs.100 crores or Rs. 200 crores of their ill gotten wealth in a grand destination wedding and in a year or two the guy will cheat or this girl will cheat and it will all be over. She is probably his 50th partner, he is probably her 100th partner so why should they even get married.